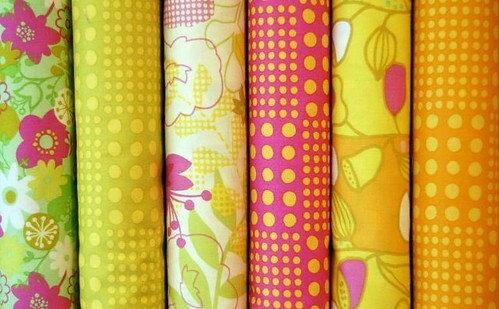 Spool Sewing + Sarah Kaye = Project Ideas! 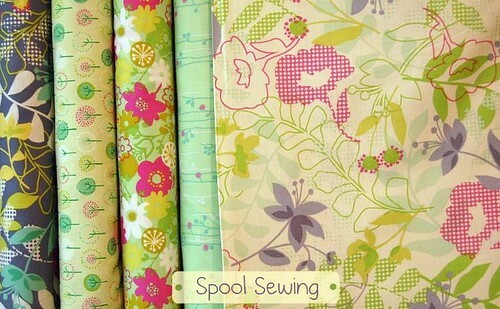 I found out about Spool Sewing from Helena when I interviewed her for a home tour on Cookie and was surprised I’d not heard of them before today. Spool is located in Philadelphia where they have a storefront but for the rest of us there’s an online shop, inspiring Flickr photos and an inspring blog to enjoy that I’ve been combing all morning for goodies and free pattern downloads. 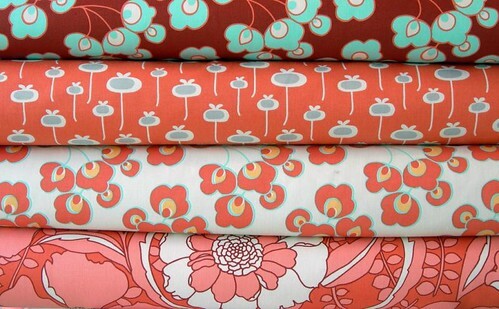 I particularly like the set of Wildwood fat quarters (ordered them last night) designed by Erin McMorris, it looks stunning and perfect for home projects. All this color, swoon! 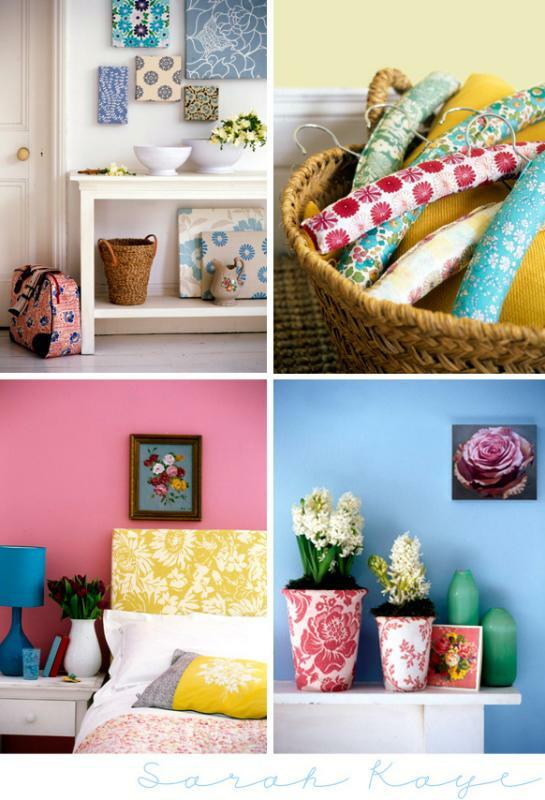 When I see this fabric I think of canvas art on the wall, decoupaged onto flower pots, covering a headboard or on pretty hangers for frilly summer dresses, like these from the portfolio of stylist Sarah Kaye whom I’ve blogged about before. Psst: If you want to try making some patterned hangers of your own, Martha Stewart has a terrific tutorial on her website.